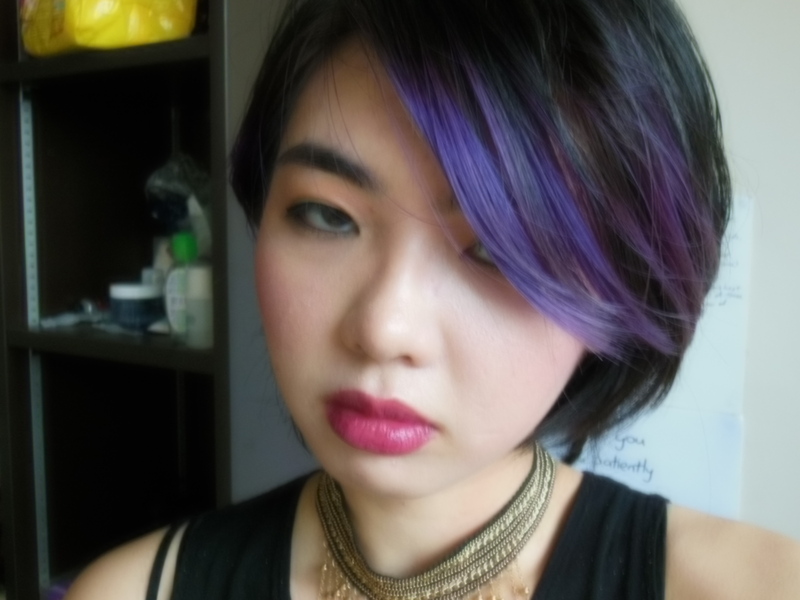 I bought a choker while I was in KL last week. It’s gorgeous, this beaded lace choker with gold chains hanging down. I decided to go Goth for the poetry slam I was attending last night then. 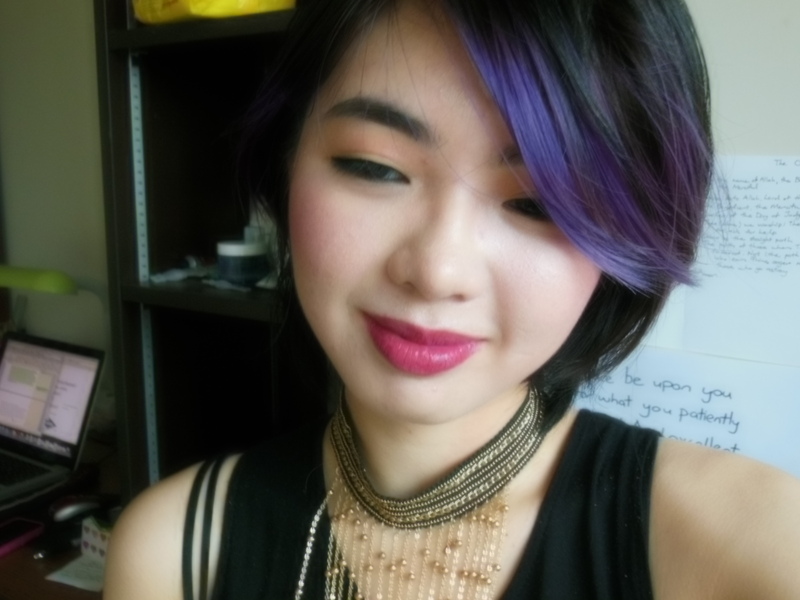 I kept the eyes fairly simple (while still being fairly heavy), and went for a really dark lip. In other news, my eyelids have been hurting a lot. I think it got dried out with the topical acne medications, so I’m laying off them for a while, and trying to bring the moisture back into the skin with Vaseline and other moisturizers. This entry was posted in Looks and tagged Beauty, benefit they're real mascara, Cosmetics, hourglass mood light, jane iredale amazing base, jane iredale bb cream, mac hang-up, mac soft and gentle, makeup, maybelline glam 6 lip polish, nars oasis, urban decay perversion. Bookmark the permalink. You looked real cute girl, and I love the lip colour! I’m glad you like it! Have you tried any of Urban Decay’s mascaras? A friend was saying it was comparable to Benefit’s. Hahaha, same. I never felt the need to invest in a high end mascara especially since they dry out so fast.